“Now I beseech you, brethren, by the name of our Lord Jesus Christ, that ye all speak the same thing, and that there be no divisions among you; but that ye be perfectly joined together in the same mind and in the same judgment. For it hath been declared unto me of you, my brethren, by them which are of the house of Chloe, that there are contentions among you. Now this I say, that every one of you saith, I am of Paul; and I of Apollos; and I of Cephas; and I of Christ. Is Christ divided? was Paul crucified for you? or were ye baptized in the name of Paul? I thank God that I baptized none of you, but Crispus and Gaius; Lest any should say that I had baptized in mine own name” (1st Corinthians 1:10-15). I am NOT an Arminian nor a Calvinist, I am a born again Christian! Let this be our stand! Spurgeon Foolishly Admitted He was a Calvinist! SOURCE: From The Autobiography of Charles H. Spurgeon, Curts and Jennings, Cincinnati - Chicago - St. Louis, 1898, Vol. I., Page 172. Charles Spurgeon was indeed a Calvinist, but NOT a 5-point Calvinist. 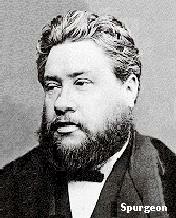 Spurgeon clearly believed that anyone could come to Christ of his own freewill to be saved. Unfortunately, Spurgeon did teach "limited atonement" (the heresy that Jesus only died for the redeemed, and not the whole world). I will explain more on this later. Though Spurgeon was a professed Calvinist, he openly condemned Hyper-Calvinism (and he called it that). Hyper-Calvinists are people who reject some of the basic teachings of Calvinism. In researching, I couldn't find a group of professed believers who call themselves “Hyper-Calvinists.” This is because there are NO groups who call themselves “Hyper-Calvinists.” It is a term given to them by their critics. So what do they call themselves? “Calvinists,” what else? So you can see that Calvinist views can vary widely since Hyper-Calvinists also claim to be "Calvinists." The Truth is that BOTH Calvinism and Hyper-Calvinism are of the Devil. Calvinism is NOT a Bible doctrine, but a system of human philosophy (humanism) appealing to the proud mind. Calvinism goes into the realm of human philosophy. Consider first that what we are discussing is called “Calvin-ISM.” It is only the opinions of one man. Dr. Loraine Boettner says, “It was Calvin who wrought out this system of theological thought with such logical clearness and emphasis that it has ever since borne his name.” That's a big lie. Are you going to tell me that believers were ignorant of the Word of God for 1,500 years until Calvin arrived? How strange that after 1,500 years of Christianity, practically no one had understood the Bible to teach Calvin's doctrine of predestination (until he introduced the philosophy). What a strangely hidden doctrine, that New Testament Christians could go for nearly for 1500 years until the days of the reformers, when Calvin developed the doctrine fully. The Bible has always been clear on doctrine. No one had any problems finding the truth about salvation before Calvin arrived. The Bible is clear on Biblical doctrine. God put the cookies of truth on the bottom shelf for us to reach, we don't need Calvin's stepladder (or anyone else's). Heretics always try to convince us that the truth is way above our heads, out of our reach, and that we need them to help us obtain the truth. 1st John 2:27 reads, “But the anointing which ye have received of him abideth in you, and ye need not that any man teach you: but as the same anointing teacheth you of all things, and is truth, and is no lie, and even as it hath taught you, ye shall abide in him.” All we need is the Word of God and the Holy Spirit to teach us. Spurgeon was a Calvinist and said so, but he did not accept all the doctrines of hyper-Calvinism, and he said so. In truth, the false doctrines of hyper-Calvinism would not do so much harm if they were emphasized as little as Spurgeon emphasized them, and particularly, if those who advocate them worked unceasingly to win souls as Spurgeon did. "If anyone should ask me what I mean by a Calvinist, I should reply, "He is one who says, Salvation is of the Lord." I cannot find in Scripture any other doctrine than this. It is the essence of the Bible. "He only is my rock and my salvation." Tell me anything contrary to this truth, and it will be a heresy; tell me a heresy, and I shall find its essence here, that it has departed from this great, this fundamental, this rock-truth, "God is my rock and my salvation." What is the heresy of Rome, but the addition of something to the perfect merits of Jesus Christ—the bringing in of the works of the flesh, to assist in our justification? And what is the heresy of Arminianism but the addition of something to the work of the Redeemer? Every heresy, if brought to the touchstone, will discover itself here. I have my own private opinion that there is no such thing as preaching Christ and Him crucified, unless we preach what nowadays is called Calvinism. It is a nickname to call it Calvinism; Calvinism is the gospel, and nothing else. I do not believe we can preach the gospel, if we do not preach justification by faith, without works; nor unless we preach the sovereignty of God in His dispensation of grace; nor unless we exalt the electing, unchangeable, eternal, immutable, conquering love of Jehovah; nor do I think we can preach the gospel, unless we base it upon the special and particular redemption of His elect and chosen people which Christ wrought out upon the cross; nor can I comprehend a gospel which lets saints fall away after they are called, and suffers the children of God to be burned in the fires of damnation after having once believed in Jesus. Such a gospel I abhor." SOURCE: Charles H. Spurgeon; from The Autobiography of Charles H. Spurgeon, Curts and Jennings, Cincinnati - Chicago - St. Louis, 1898, Vol. I., Page 172. Yet, Spurgeon clearly also believed that “whosoever will” (anyone) could get saved, a view that Calvinists and Hyper-Calvinists do NOT hold. Romans 10:13 plainly teaches, “For WHOSOEVER shall call upon the name of the Lord shall be saved.” Spurgeon believed that God absolutely needed to be involved in man's salvation, and this is Biblical. We read in John 6:44, “No man can come to me, except the Father which hath sent me draw him: and I will raise him up at the last day.” But for Calvinists and Hyper-Calvinists to teach that God is “selective” in choosing who will or won't be saved is certainly NOT Biblical. Titus 2:11 clearly teaches, “For the grace of God that bringeth salvation hath appeared to all men.” Did you read that...ALL men? Spurgeon didn't believe that only certain sinners of God's choosing would be saved. Romans 10:13 plainly teaches that “WHOSOEVER” will may come to be saved (and Spurgeon believed this). John 3:16 proclaims that God loved the WORLD enough to send His only begotten Son to pay for our sins. Calvinism and Hyper-Calvinism are wrong to teach that God chooses who will be saved. I think Spurgeon jumped-the-gun on this issue before fully investigating it because Spurgeon clearly did NOT believe that anyone is predestined to salvation. John Calvin taught heresy when he taught that God chooses people to be saved. There is NOT one Scripture in the entire Word of God which teaches that God chooses anyone to be saved. The Bible teaches that all believers were predestined to “be conformed to the image of His Son,” NOT predestined to salvation (“For whom he did foreknow, he also did predestinate to be conformed to the image of his Son, that he might be the firstborn among many brethren,” Romans 8:29). This is exactly what Spurgeon believed. In contrast, Calvinism DOES teach predestination unto salvation. God NEVER chooses anyone for salvation, Scriptures such as Acts 17:30 make this abundantly clear (“...but now commandeth all men every where to repent”). Why would God command ALL men to repent if only certain men have been chosen for salvation. There really is NO debate concerning Arminianism, Calvinism, and Hyper-Calvinism if you simply take the Word of God at face value... they're all messed up! The Bible is so clear on all these matters. There are problems with all three views. Arminianism is wrong to teach that a person can lose salvation. Romans 5:15 declares that eternal life is a “FREE GIFT.” A gift CANNOT be taken back if it is freely given. Salvation is God's gift to man, paid for by the blood of Jesus (Romans 6:23; Colossians 1:14). Calvinism and Hyper-Calvinism teach “limited atonement” and “selective salvation,” which are both Satanic lies. 1st John 2:2 couldn't be any clearer, “And he is the propitiation for our sins: and not for ours only, but also for the sins of the whole world.” Calvinism is unbiblical heresy! The Word of God proclaims that Christ came to save sinners, not just certain sinners. Listen to the plain teaching of 2nd Peter 3:9, “The Lord is not slack concerning his promise, as some men count slackness; but is longsuffering to us-ward, not willing that any should perish, but that all should come to repentance.” This Scripture clearly reveals that it is possible for ALL men to repent. God is NOT willing for any to perish. If Calvinism is correct, then how can you reconcile God's desire for all men to repent if He only predestinates certain of them to salvation? Calvinism makes no sense at all. Again, I think Spurgeon misunderstood John Calvin's teachings. I believe the Biblical doctrine of “eternal security,” just as Spurgeon did. I agree that a born again believer can NEVER lose salvation. We didn't do good works to get salvation, and we can't do bad works to lose it. Many believers have difficulty in accepting the Biblical truth that a born again believer can live in sin and still remain saved. What they fail to realize is that judgment day is coming for the believer, as well as for the unbeliever. The Bible clearly teaches that believers who sin WILL face the wrath of God at the judgment seat of Christ for their sins (Psalm 6:1, 38:1; 1st Thessalonians 4:6; Matthew 12:36; Romans 12:19, 14:12; 2nd Corinthians 5:10-11; Hebrews 12:6-8). No one is going to get away with anything! Just because a person is saved does NOT give them God's permission to sin. Every believer is safe from Hell's punishment; but we risk the wrath of God and loss of rewards (1st Corinthians 3:15). Contrary to what most people think, John Calvin didn't teach eternal security at all. Calvin insisted that believers must persevere in faith if they are to remain in grace. He believed that the elect will persevere in faith and continue in grace to ultimate final salvation. These damnable heresies are far from Spurgeon's understanding of Calvinism. The very fact that Calvinism requires a saint to “persevere” to the end is damnable heresy. Eternal security is the preservation of the saints, NOT the perseverance of the saints. To “persevere” is works salvation. The cult of Seventh-Day Adventism similarly teaches that a person cannot KNOW they're saved until the final judgment. Man's works and efforts have absolutely NOTHING to do with God's salvation. Salvation is received, not achieved. Whether a believer continues in the faith or not is irrelevant. Either they are saved and can never lose it, or else they aren't saved now and never had it to begin with. You cannot undo your spiritual birth, just as you cannot undo your physical birth. John 3:16 is so clear on the matter of salvation, “For God so loved the world, that he gave his only begotten Son, that whosoever believeth in him should not perish, but have everlasting life.” If a lost sinner simply believes upon Christ, they will never perish. I believe that Calvin misunderstood the Bible, and Spurgeon misunderstood Calvin. Yes, it is true that a person cannot be saved unless God the Holy Spirit is working in their heart, but the Bible plainly teaches that it's the Holy Spirit's task to convict THE WORLD of sin, righteousness, and judgment. Yes, God knew in advance (before the world began) who would one day trust Him, and He predestinated them to be conformed TO THE IMAGE OF HIS SON, but NOT to salvation. God NEVER chooses anyone to be saved. He did predestinate them before the world began, but only because He saw that those people would one day choose of their own free will to be saved. God NEVER forces anyone to be saved, nor does God ever choose anyone to be saved. It is easy to go astray in one's doctrines if we fail to realize that God lives in eternity where there is NO time. Thus, there is NO chronology in God's world, only man's. This is why Revelation speaks of "the Lamb slain before the foundation of the world. This is why the Bible teaches that “a day is as a thousand years and a thousand years as a day with the Lord (2nd Peter 3:8).” Predestination simply means that God was making plans for those whom He knew would one day be saved. Salvation is by grace through faith based upon the redemptive work of our Lord Jesus Christ. Jesus took upon Himself the sins of all mankind in His death on the cross, and His resurrection from the dead provides salvation to all who believe. All who receive the Lord Jesus Christ through faith are born again of the Holy Spirit and thereby become the children of God. It is apparent that Spurgeon was only a one-point Calvinist. Spurgeon believed that "whosoever will" can come to Christ to be saved. This eliminates three points of Calvinism. Spurgeon also believed in eternal security, which eliminates the last point of Calvinism. The only Calvinist heresy that Spurgeon bought into, and horribly so, was the unbiblical heresy of limited atonement. Clearly, Christ died and shed His blood for ALL humanity. Spurgeon was a mighty preacher, and 99% of all his writings are excellent materials. Spurgeon is still without a doubt one of the greatest Baptist preachers to have ever lived. I certainly do not feel comfortable critiquing Spurgeon, the man whom God used to reach London more than any other in the 19th century. However, heresy is heresy and must be exposed. Romans 3:4 declares, “...let God be true, but every man a liar...” Ultimately, we are all capable of teaching heresy. It is a mistake for anyone to call them self a “Calvinist” or a “Arminian” or a “Spurgeonite” for that matter. 1st Corinthians 1:10-15 clearly teaches that our allegiance must be to God, NOT to men. I believe the Word of God, It is the Final Authority on what I believe, nothing else. I don't care how great or liked a preacher or teacher may be, if they teach unscriptural doctrines...they must be exposed for the sake of others. Spurgeon was not perfect, nor is anyone else. We are all just frail human beings. Many preachers have had to come to the woeful realization that they were guilty of previously teaching heresy. Dr. John R. Rice admitted that in the old days he used to teach about the “signs” of Christ's coming. Then he realized one day that the Word of God plainly declares that NO MAN knoweth the time of Christ's coming. He changed his beliefs. This is commendable. I know of a preacher presently who has written a series of heretical books on tithing and money. Hopefully he will one day realize his folly and discontinue the sale of those books. What Did Pastor Charles Spurgeon Believe About Repentance? Was Charles Spurgeon a Heretic On Salvation?